Billed as offering "sun, sea and many surprises", the luxury camping facilities found at Camping Sant'Angelo Village are ideal for an unforgettable holiday. Its tranquil location between the Adriatic Sea and a nearby lagoon help this resort to be one of the most reputable throughout all of Italy. Able to cater to bungalow tents, mobile homes and even luxury tents, this village is not to be missed. For more information or if you have additional questions, please contact Lux-Camp straight away. 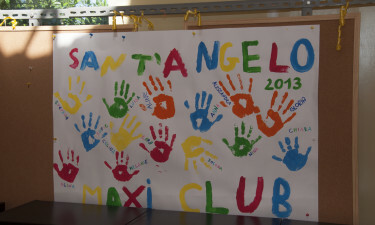 Why should my family and I choose the luxury camping site at Sant'Angelo for our next camping holiday? Like many reputable holiday camping sites, Sant'Angelo offers all residents access to wireless Internet. 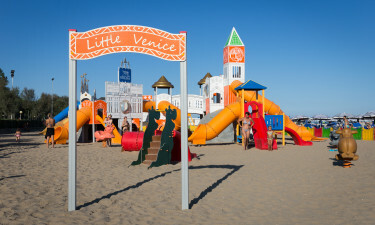 Not only will this provide entertainment for any children that have come along, but such an amenity makes it easy to explore nearby regions and even plan additional excursions while you are enjoying your holiday. Of course, this service is offered to all mobile homes, pitches and bungalow tents throughout the property. As mentioned above, there may be times when you and a group of friends wish to escape the rigours of university or your daily life. If so, you are also able to enjoy a camping holiday with your interests in mind. In fact, Sant'Angelo has numerous pitches which are specifically designed for groups of a younger generation. While Camp Sant'Angelo offers splendid views of nature and excursions to such cities as Venice, it is also important that you enjoy a sense of comfort while camping in luxury. So, expect to find modern clothes washers and dryers, no less than two hundred individual shower cubicles, wheelchair-accessible facilities and even baby changing rooms. These will all give you the ability to never feel far from home! 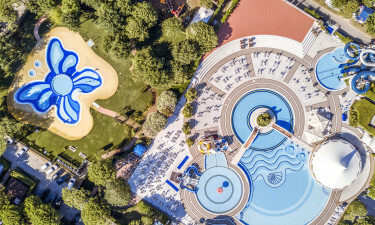 Of course, such facilities are also quite important after taking a dip in one of their large pools or experiencing the nearby Adriatic Sea during the summer months. As always, all of these spots are found conveniently close to the on-site luxury tents and mobile homes. If you have a taste for local cuisine while camping in luxury, you are in for a welcome treat. 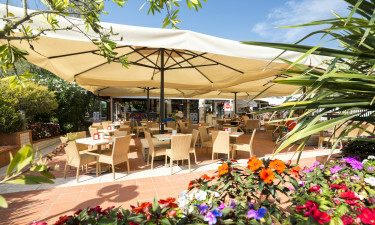 Not only does Sant'Angelo provide a large restaurant-style pizzeria, but there are also no less than three ice cream parlours near the beach and pool; perfect for those hot summer days. A snack stand is also available as is a bar should you wish to quench your thirst with an ice-cold drink or two. 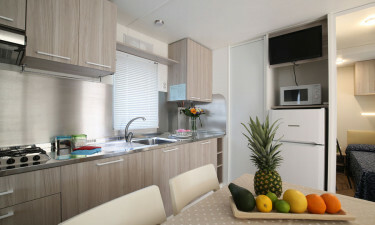 In addition to these numerous eateries, this holiday camping site additionally provides a fully-stocked market, a fresh fruit and vegetable stand and a bazaar which offers international newspapers and other essentials. Should you wish to learn more, do not hesitate to contact Lux-Camp with any additional questions or to speak with a qualified representative.